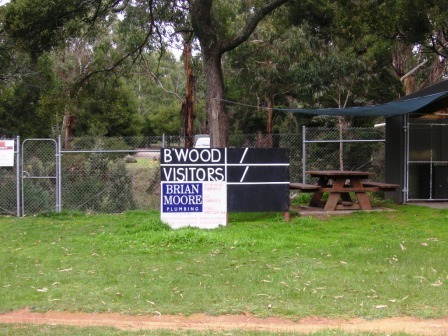 The cricket scoreboard at Little River has taken a bit of a hammering over the years. From cricket balls, the weather, the passing of time. 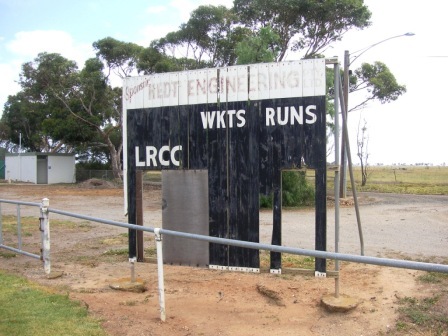 The club is in better shape than the old scoreboard, fortunately, playing on a nice country ground on the basalt plains between Werribee and Geelong. Australian rock music folkore has it that a group of musicians saw the sign for the town on their way to a gig down Geelong way. The musicians needed a new band name. They thought ‘Little River Band’ sounded alright. Blackwood is a pretty little spot in central Victoria, about an hour out of Melbourne. Plenty of hills, plenty of water in winter. And a nice creek to cool off in summer. The cricket ground is gorgeous and the scoreboard attendant even has a picnic table. Luxury. 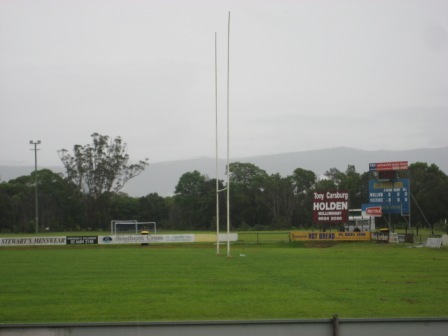 Mullumbimby Rugby League Club has been part of Brunswick Valley in northern New Souith Wales for over a hundred years. It was pretty wet when local resident Victor Fisher dropped by to take a photo. Looks like the scoreboard attendant at Mullum has an on-site caravan. Luxury indeed.